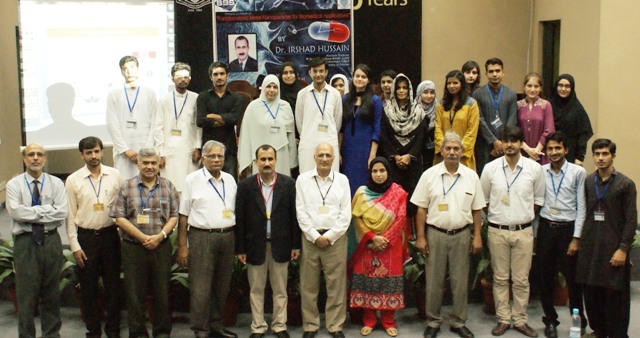 On 19 September 2014, the Senior Biology Society (SBS) hosted a lecture by Dr Irshad Hussain on Functionalized Metal Nanoparticles for Biomedical Applications. Dr Hussain is among the founding members of the SBA School of Science and Engineering (SSE) and has played a key role in leading the development of the Chemistry Department at LUMS. 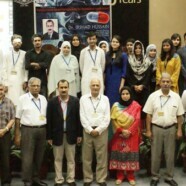 Prior to joining LUMS, Dr Hussain spearheaded the research and development program in Nanobiotechnology at the National Institute for Biotechnology and Genetic Engineering (NIBGE) and developed a Nanobiotech group/facility for the synthesis of metal nanoparticles and explore their applications in biotechnology and advanced materials fabrication, which is now among the few best such facilities in Pakistan. He has published 45 research articles in prominent journals including Nature Materials, Angewandte Chemie – Int. Ed., Advanced Materials, Journal of the American Chemical Society, Small, ChemCommun, Langmuir, and Nanoscale. He has got several competitive National/International research grants to explore the applications of metal nanoparticles/ nanoclusters in Chemical/Biomedical Sciences and Renewable Energy Technologies. Dr Hussain commenced his lecture with a brief history of Nanotechnology. Starting from the basics, he explained top down and bottom up approaches to the students. After explaining processes like Chemical Reduction, Electrostatic Charge Stabilization and Steric Stabilization for the synthesis of nanoparticles, he introduced students to the peculiar optical/fluorescent properties of the nanoparticles owing to their small size. Dr Hussain then went on to explain biomedical applications of the metal nanoparticles like Bacterial Detection, Drug Delivery, Photo Therapy, Gene Therapy and Bone Tissue Engineering. He also talked about overcoming bio-availability hurdles and forensic applications of these metal nanoparticles. The lecture was followed by a Q&A session. 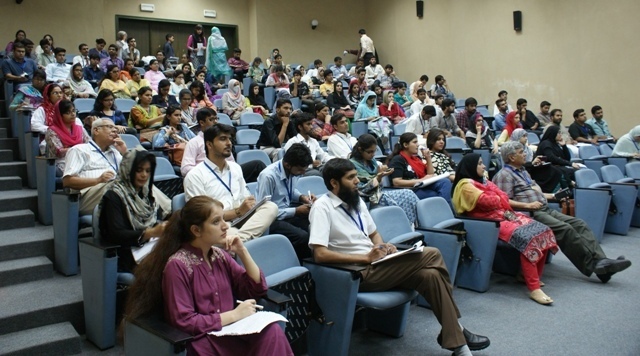 This lecture attracted students from all the disciplines of Natural Sciences, which was evident in the form of a packed auditorium.